We specialize in creating images with real emotion, natural lighting, beautiful portraits and dramatic landscape artistry. We are best known for our creative Fine Art Photography with moments of photojournalism. Photographing weddings since 2008 David and Sherry have photographed hundreds of weddings all over the world, in Toronto and the Greater Toronto Area (GTA), Vancouver, The Okanagan, all across Canada and worldwide. 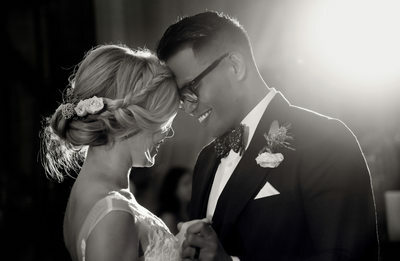 It is our desire for each wedding to tell your story through candid moments with family and friends, stunning portraits of the bride and groom, the emotion of the meaningful wedding traditions, the thoughtfully picked details, and creatively dramatic yet timeless wedding photographs for you to treasure for a life time. If you are looking for a photographer who loves adventure, pushes the limits, thinks outside the box, and desires to make your dreams come true you have found them. 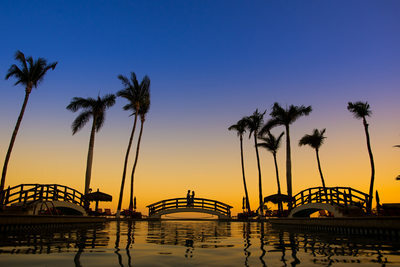 We have a tenacious appetite to capture gorgeous couples in majestic landscapes around the world. We created the concept of the "Couplescape” and like to say it’s a little Vanity Fair meets National Geographic where we take fashionable attire and accompany that with striking posing and take it to the top of a mountain in order to create stunning imagery. You will have unique photographs that will make your friends jealous, paired with a storybook album of memories from your adventure to share with family and friends for generations. David and Sherry Photography have photographed weddings at high end hotels, rustic farms, outdoor tents, private cottages, and all inclusive resorts. We have been all around the world celebrating Catholic, Chinese, Sri Lankan, Buddhist, Korean, Indian, Hindu, Muslim, Japanese, Canadian and Jewish cultural wedding traditions. We are Canada wide and destination wedding photographers who have home bases near Vancouver, Toronto and the Okanagan allowing us to easily traverse the Country at a moment’s notice. We offer our services Canada-wide with no additional travel fees. Endeavouring to push the boundaries of photography we at David and Sherry Photography created our patent-pending concept of the “Couplescape”. This idea was born of our combined interest in landscapes and fashion photography where each amplifies the other. We desire to create dramatic room filling images that will take your breath away. Wherever your dream photo takes us, be it around the world, on top of a mountain, or into the middle of the night to capture a silhouette on the supermoon, we will be there with you. We are best known for our adventurous, epic, creative, out of the box ideas with creative use of lighting and stunning posing. If you are looking for that one of kind experience with a one of kind photo then we are your photographers. 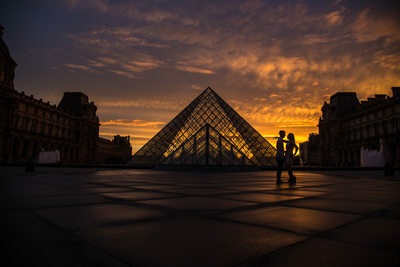 Whether it is a pre-wedding shoot to capture the hot budding romance of a couple cutting through a blizzardy cobblestoned French walkway, or the fairy tale re-enactment of a husband and wife’s first kiss framed in a summer solstice Supermoon, we want to be right there behind the lens. 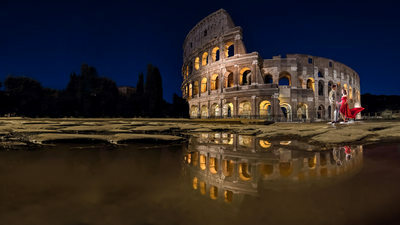 We love to showcase these amazing images as a magnificent fine art gallery wrapped giclee canvas that fills a wall of your home which will make you feel as though you are still standing on the top of a mountain with the love of your life, or complimented with a beautiful heirloom storybook that is the culmination of your adventure. These page turning stunning magazine worthy images will allow you to relive the best adventure of your life. We love taking your wildest ideas and creating masterpieces with them. We give them a high fashion flair through glamorous posing, exquisite lighting, and artistic editing. We are wedding photographers serving Toronto, North York, Mississauga, Oakville, Richmond Hill, Markham, Vaughn, Scarborough, Distillery District, Liberty Village, Unionville, Etobikoke, York, Halton Hills, Port Credit, Milton, East York, High Park, Don Mills, Bayview Village, Don Valley and all of the greater Toronto area or as we know it the GTA. 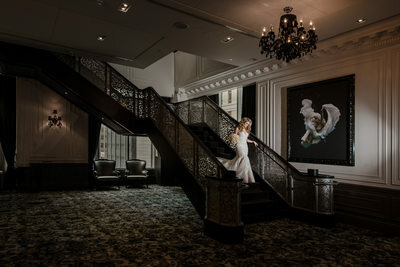 If you are looking for one of the top wedding photographers in Toronto who create stunning, dramatic images with a classic sense of poise, look no further than David and Sherry Photography. We love photographing weddings from Unionville to downtown Toronto, from Oakville to Scarborough, we travel all along the 401, 407, Gardiner Express Way and Don Valley Parkway. Having photographed hundreds of weddings in the GTA we are comfortable in the opulent style luxury wedding at a gorgeous downtown hotel like the Ritz-Carlton to the beautifully exquisite historic venue like Graydon Hall Manor. We are always humbled to photograph at some of the oldest and most historic venues in Toronto like Palais Royale. And so whether you need us to navigate and stop traffic in Dundas Square or climb up a tree in High Park we are always willing to do what it takes to gets to get that perfect photograph. You can find more of our Toronto photo locations and information here. Vancouver is the best city in the world. Aside from being a world class metropolitan city with a celebration of every culture, it’s setting at the mouth of the Burrard Inlet nestled in the Canadian Rockies makes it one of the most beautiful cities in the world. David & Sherry capture wedding photography in Vancouver, Whistler, Lower Mainland, North Vancouver - North Van, West Vancouver, Richmond, Burnaby, White Rock, Surrey, New Westminster, Granville Island, Stanley Park, Coquitlam, Port Coquitlam, Capilano, Cypress, Horseshoe Bay, Squamish, Langley, Pitt Meadows, Maple Ridge, Abbotsford, Mission, Chilliwack, Harrison Hot Springs, Hope, and Cultus Lake. For more about our Vancouver wedding photography locations and information click here. Photographing weddings is what we love and over the past years David & Sherry Photography has been commissioned to photograph weddings all across Canada. As we aim to best serve our clients we have a home base in the Okanagan in the Juniper Ridge area of Kamloops. 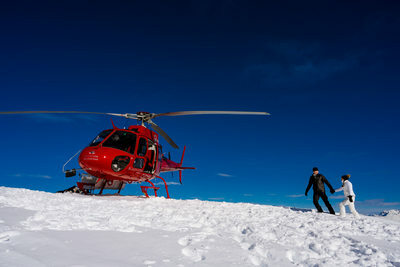 This allows us to shoot weddings all through the Thompson River Valley and Sun Peaks. Our service offerings certainly extend beyond Kamloops and area but our love for the city has encouraged us to spend much of our time here. We love being wedding photographers in Kamloops especially when we get to take pictures at venues such as Sun Peaks Resort, Hotel 540, Tobiano Golf Course, Grand Hotel and Conference Centre, Coast Hotel, Tranquille Farm Fresh, The Dunes, Eaglepoint, Doubletree Hilton, Rainbow’s Roost, Grandview Acres, South Thompson Inn, Harper’s Trail Estate Winery, Lac Le Jeune Wilderness Resort, Tru Conference Centre and Hearthstone Lodge. Whether we are travelling the road to Sun Peaks or finding a beautiful canyon with great light in which to put our bride and groom, David & Sherry are going to get the best for you on your wedding day. As David & Sherry have a home base in the Okanagan we frequent the city of Kelowna. Known as the best destination wedding city in Canada this four seasons town brings luxury and style to natural vineyard weddings with it’s boutique resorts and venues. As wedding photographers in Kelowna we love the care and service these venues put into their services to make great wedding days. The top wedding venues in Kelowna are Sanctuary Gardens, Hotel Eldorado, Vista Villa, CedarCreek Estate Winery, Crescendo, Hanna’s on the waterfront, Summerhill Pyramid winery, Okanagan Golf Club, Off the Grid Organic Winery, Manteo Resort, Coast Capri Hotel, The Cove Lakeside Resort, Gallagher’s Canyon,Delta Hotels Grand Okanagan Resort, Belgo Wedding Chapel, and Falcon Ridge Farms, Myra Canyon trestles, and Knox Mountain. David & Sherry Photography frequent the top destinations across Canada in order to photograph lavish and beautiful weddings for great people. Having been born in British Columbia David’s heart for the Canadian Rockies never wanes and he and Sherry are continually drawn back to the land west of the mountains. As wedding photographers in Whistler we strive to create the most epic and wonderful nature meets luxury and elegance a wedding can offer. 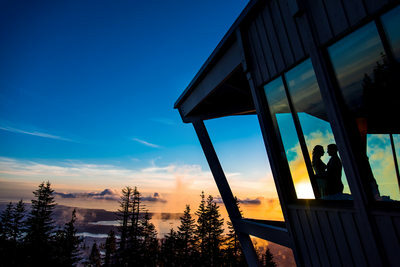 We will do anything to get the shot including scaling mountains, riding helicopters, trekking through the backcountry and we do it while helping you along the way anywhere we can so we can create stunning Couplescapes of our clients. Some of our favourite Whistler wedding venues are the Brew Creek Centre, Whistler Alpine Chalet, Furry Creek Golf and Country Club, Fairmont Chateau whistler, Whistler Golf Club, Nita Lake Lodge, Nikes north golf course, Mountainside Lodge, Four Seasons Resort, Sundial Boutique Hotel, Whistler Blackcomb Skey resort, Coast Whistler Hotel, Westin Resort and Spa Whistler, Squamish Lil’wat cultural Centre, Executive Suites Garibaldi, West Coast Wilderness Lodge, Hilton Whistler resort and spa, Audain Art Museum, Sea to sky Gondola, Whistler Olympic Park, and the Crystal Lodge and Suites. Every time we drive into Whistler Village our hearts warm once again to this beautiful and perfect wedding destination. Very near our home base in Ontario is the beautiful ski city of Collingwood. Home of Blue Mountain and the location many Toronto vacationers come every year to their cottages this serene and relaxing place on the shores of Georgian Bay is home of some beautiful winter and summer weddings each year. As wedding photographers in Collingwood we enjoy weddings at Blue Mountain, the Conference Centre at Blue Mountain, Cranberry Resort, Thornbury, Meaford, Sunset Point, the Arboretum, Craigleith Ski Club, and many prvate cottages throughout the region. Hundreds of thousands of people flock to Muskoka each year to their private cottage on a lake and we are one of those who flock but for the reason of being wedding photographers in Muskoka. We have taken pictures at many weddings in Bracebridge, Huntsville and Gravenhurst at such places as Brooklands Farm, Taboo Resort, Muskoka Bay Club, Severn Lodge, Trillium Resort, Hidden Valley Resort, JW Marriott Rosseau, Muskoka Resort, Deerhurst Resort, and have loved them all. We especially love private cottage weddings of more intimate gatherings. Owen Sound and Surrounding area provide a similar look to Collingwood and Muskoka but are more inexpensive. As one of our home bases this area is a hidden gem for weddings north of Toronto as it has the same feel as the more popular areas but without all the people. The best wedding venues in Owen Sound are, Cobble Beach, Walters Falls, Saugeen Golf Course, Best Western Inn on the Bay, and Serenity Cottage. Of course we can also head north of the city to places like Sauble Beach, Tobermory and Wiarton to open up another host of wedding venue options. David & Sherry started into their wedding photography business the way anyone would, they quit their jobs, moved to Mexico and learned from one of the best photographers. Now many years later and 250+ weddings photographed we have learned a thing or two about capturing the most beautiful moments during the biggest day of many people’s lives. It is our hope in looking through our gallery of images you will find beautiful uses of lighting including rim, back, front, side, Rembrandt, natural and created light to create captivating wedding photos. We aim to get the best photographs of each of our brides and grooms by focusing on classical posing and direction, great lighting, storytelling, composition, texture, colour, mood and emotion to wow the bride and groom and design an award winning wedding album that can be displayed to all of the family and friends who grace your new home together. On the day of the wedding we are capturing the getting ready which sometimes includes door games, bartering for the bride, bridal portraits, groom portraits, tuxedo, groomsmen photos, bridesmaids pictures, the wedding gown, dress, necklace, shoes, hair and makeup, boutenniere, corsage, and garter as well as the first look, ceremony, receiving line, family photos, bdekken, ketuhbah, bride and groom photos, bridal party group shots, entrance, reception, table shots, decor, first dance, parent dances, dj, dancing, garter toss, bouquet toss, speeches, and emotional moments throughout the day and we do each section of the day to the best of our creativity. Over the years we have photographed weddings in different locations and destinations all over the world and we hope you will look through all we have to offer. 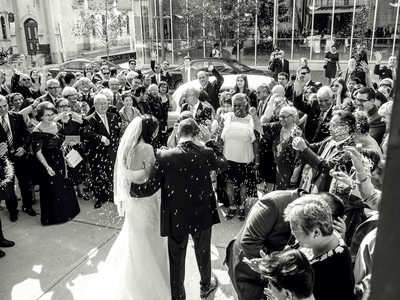 If you are looking for the best wedding photographer in Toronto, North York, Scarborough, Markham, Mississauga, Etobicoke, Vaughan, Orangeville, Milton, Kitchener, Waterloo, Guelph, Cambridge, Hamilton, Quebec City, Montreal, Sherbrook, Charlottetown, Fredricton, St. Johns, St. John, Ottawa, Owen Sound, Collingwood, Muskoka, Bracebridge, Huntsville, Gravenhurst, Tobermory, Sauble Beach, Port Elgin, Southampton, Kincardine, Sarnia, Windsor, Chatham, London, Stratford, Calgary, Banff, Canmore, Jasper, Lake Louise, Revelstoke, Salmon Arm, Vernon, Kelowna, Osoyoos, Okanagan, Kamloops, Merritt, Hope, Chilliwack, Abbotsford, Mission, Harrison Hot Springs, Langley, Pitt Meadows, Coquitlam, Surrey, North Van, Vancouver, Victoria, Squamish, Whistler, Richmond, White Rock, Amalfi Coast, Italy, Florence, San Gimignano, Rome, Venice, Milan, San Marino, Paris, London, Monaco, French Riviera, Cabo San Lucas, Puerto Vallarta, then David & Sherry Photography is the top choice of many of the finest people to get married in Canada. 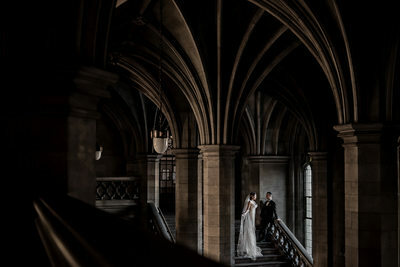 There are so many different looks, feels and venues you can choose for your wedding but when it comes to your photography we have all the equipment, cameras and lighting necessary to enter any situation and follow or create great lighting in order to capture beautiful image of your wedding day. David & Sherry choose to use the best equipment available and we do so by selecting the top cameras by Nikon and pairing them with the finest Nikkor lenses including the AF-S 105mm f/1.4, AF-S 70-200mm f/2.8, 20mm f/1.8, 35mm f/1.4 to name a few and we use Nikon speedlights, Phottix transmitters, Light and Motion Stella Pro 5000 steady lights, Ice Lights as well as unique light bending and shaping tools in order that nothing equipment wise limits our creativity. We can capture great depth of field or shallow depth of field, lots of compression or wide composures, we can shoot macro or far away and we do it all having these tools on us while we shoot. We take great lengths to equip ourselves with light, mobile and the best gear so when a creative portrait comes to mind or a beautiful photojournalistic moment is unfolding before us we are ready when the time is right to capture the most beautiful wedding portraits in Canada. I love this definition of a destination, with it all weddings are destination weddings. David and Sherry Photography love photographing destination weddings so much we travel all across Canada with no travel cost. We love photographing in Vancouver, Okanagan Valley, Banff National Park, Jasper National Park, Edmonton, Calgary, Muskoka Cottage Country, Toronto, Collingwood, Owen Sound, Montreal, Quebec City, and the Maritimes. From Coast to Coast and around the world we have photographed couples in love and who love adventure and traveling. We are always humbled when when our work is complimented and we receive reviews by our clients or our peers in the wedding and photography industry. We are so honoured when clients send us a thank you card, leave us a review about David and Sherry Photography on Wedding Wire Canada or send us an endearing e-mail after their wedding. We have had the pleasure of being featured on many wedding blogs and magazines such as, Wedluxe, Junebug Weddings, Bride.ca, Luxe Mountain Weddings, Elegant Wedding Magazine, Huffington Post, WPPI, DHWA Magazine, Weddingbells, Wedding Obsession, Mywedding.com, and Eventsource to name a few and have received awards for our photography through many international organizations and recognition from our peers. We were even bestowed the honour of receiving Canadian Wedding Photo of the Year. Although we don’t have our pricing available on our website, you can contact us anytime through our contact form on our website and receive complete information about pricing.